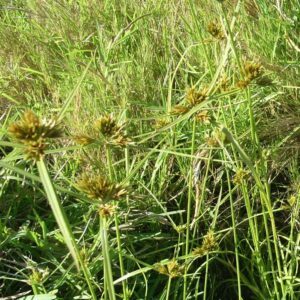 The perennial sedge has a tufted habit. It blooms between July and March produces brown flowers. 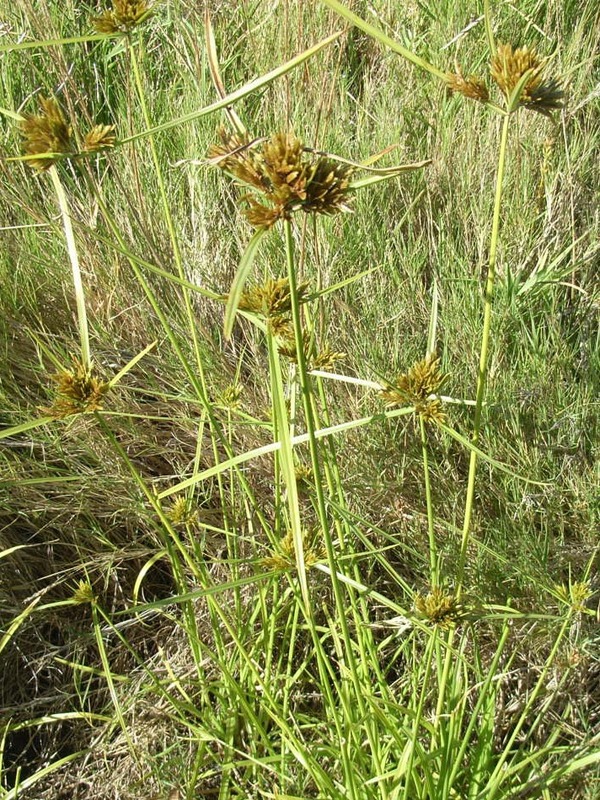 The sedge has a short rhizome connecting plants together. The culms are smooth and triangular in cross section, they are a pink-red toward the base. The leaves have a width of 4 to 8 mm and are ridged with deep sharp depression down the middle.